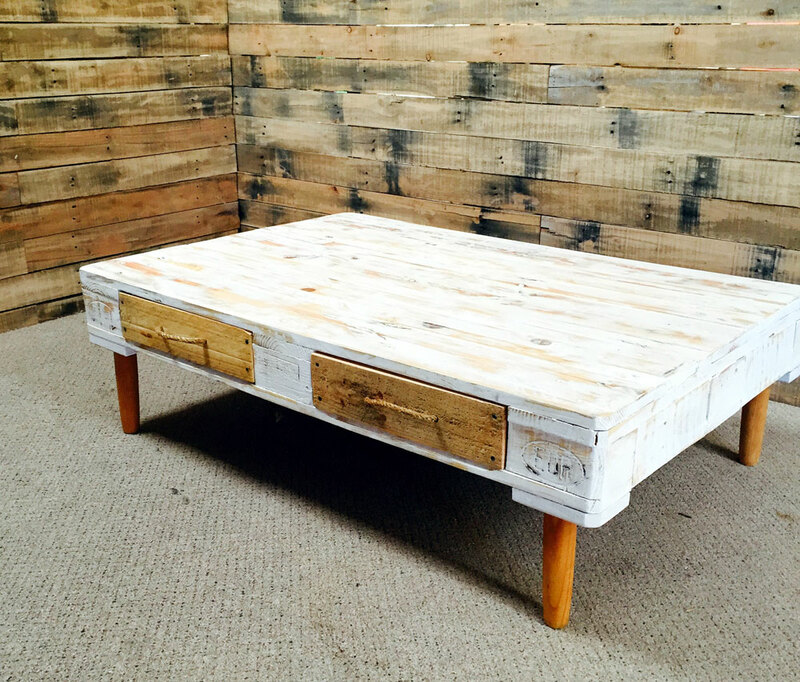 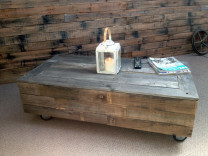 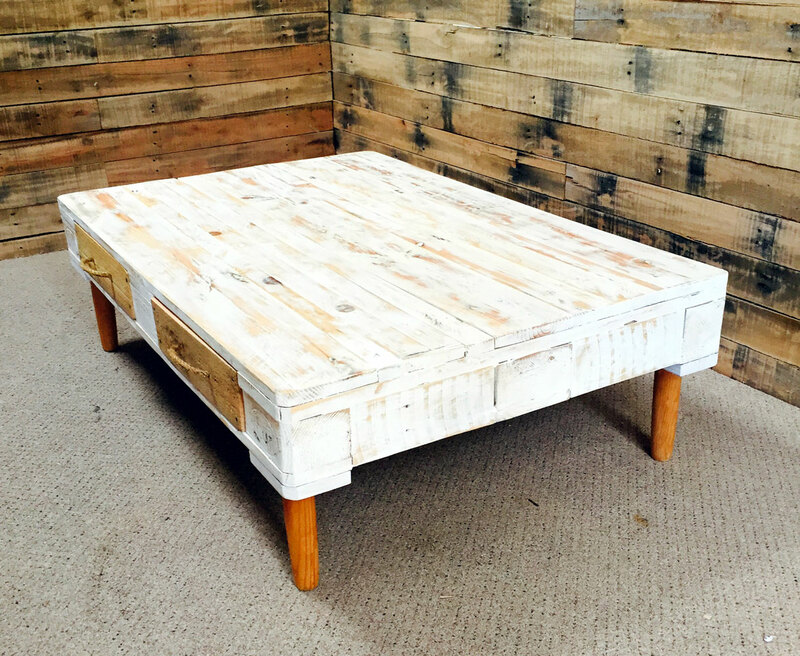 Shabby Chic retro pallet coffee table. 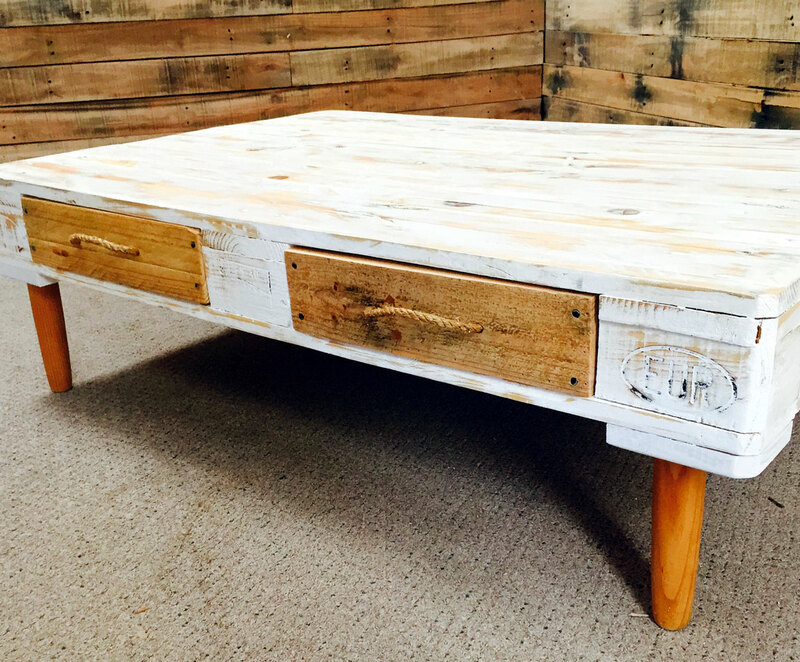 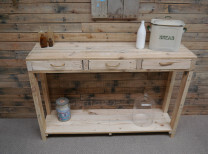 Made entirely from reclaimed materials this table features retro legs, four functioning drawers with a shabby chic beachy finish. 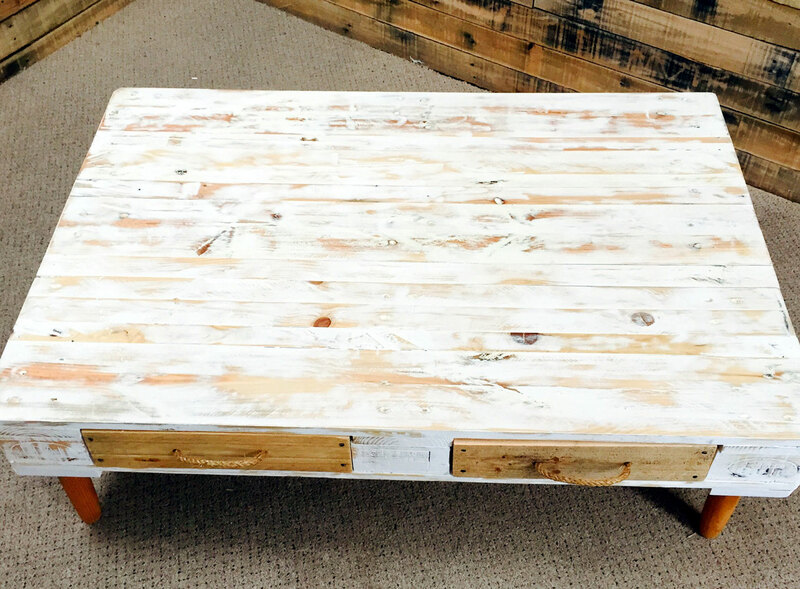 The entire table has been clear coated in a matt clear for ease of maintenance and cleaning. 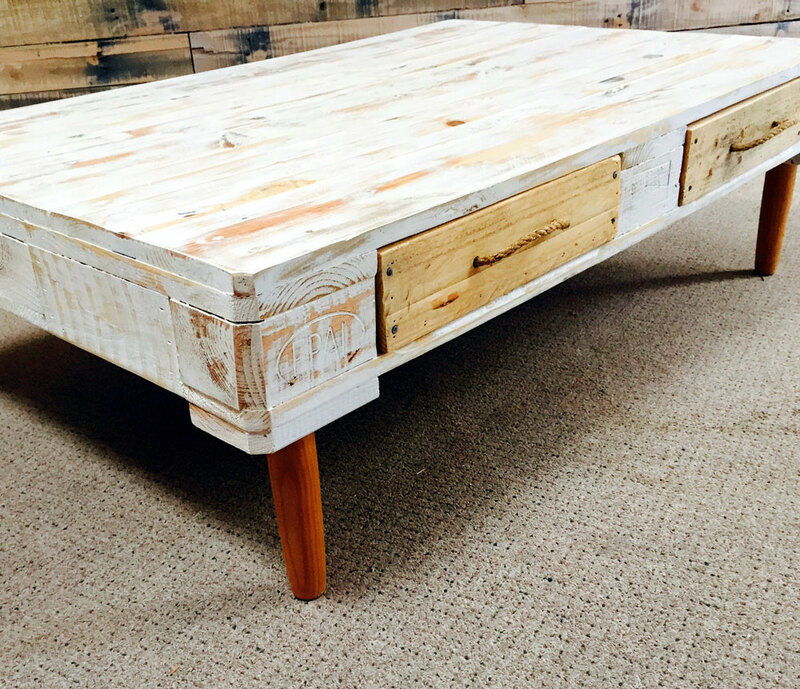 This unique table would make a real feature in you lounge or beach house. 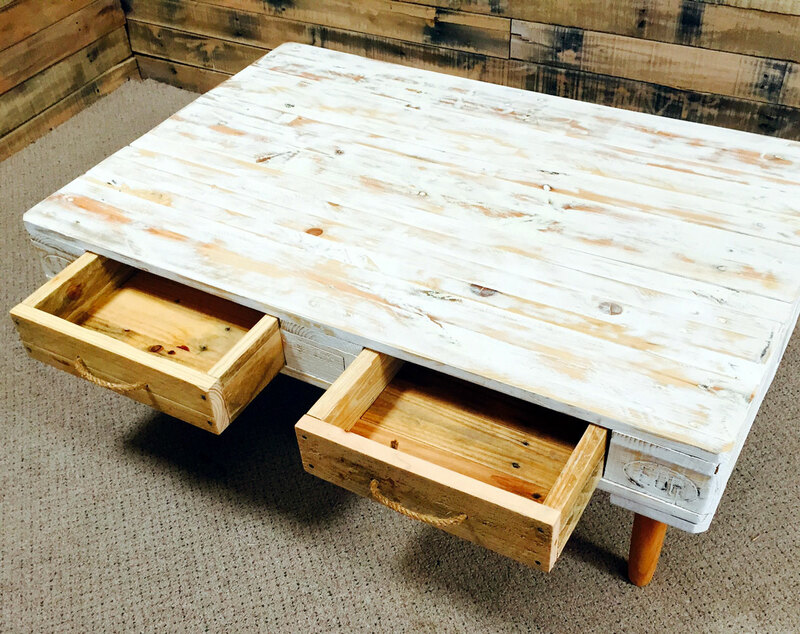 Categories: Coffee Tables, Pallet Furniture.